Today I want to do some research and write a review on Freedom Cash System to help you decide if it’s the right program or a waste of time. I will take some of your time so I can explain how this program works and how it can help you with your business plans and goals. The first time you visit this site you will realize that the site doesn’t look as a solid company. They promise to pay you $500 just for signing up! Can you imagine that? Do you believe it’s real? Or possible? I would appreciate if you share your thoughts in the comments section after reading this review. What do you think of the Freedom Cash System? I did the research and will now reveal all the facts about this program. 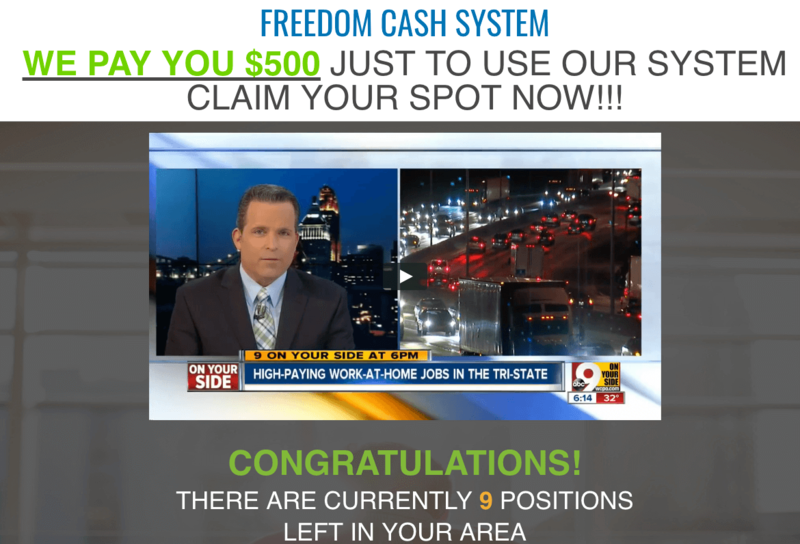 Freedom Cash System is being advertised in two ways. One related to link posting idea and the other related to promoting a program called MOBE (My Online Business Empire). Both are not worth your time and can easily lead you to wasting a lot of your hard earned money. I will explain it further in my review. In short, Freedom Cash System leaves a very bad impression on the very first visit to the site. 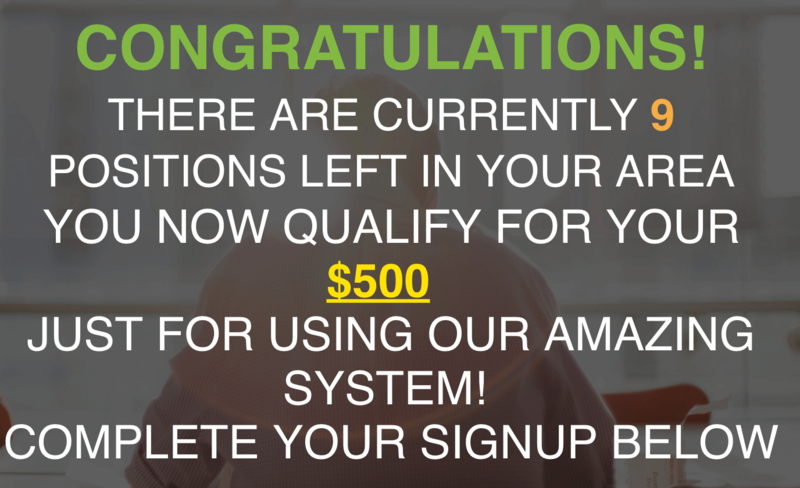 Promising to pay you $500 just for signing up looks totally scammy and laughable. Instead check my recommended program. It’s FREE to try. I have many years of experience reviewing MMO products/programs and know how to separate valuable products from time wasters. 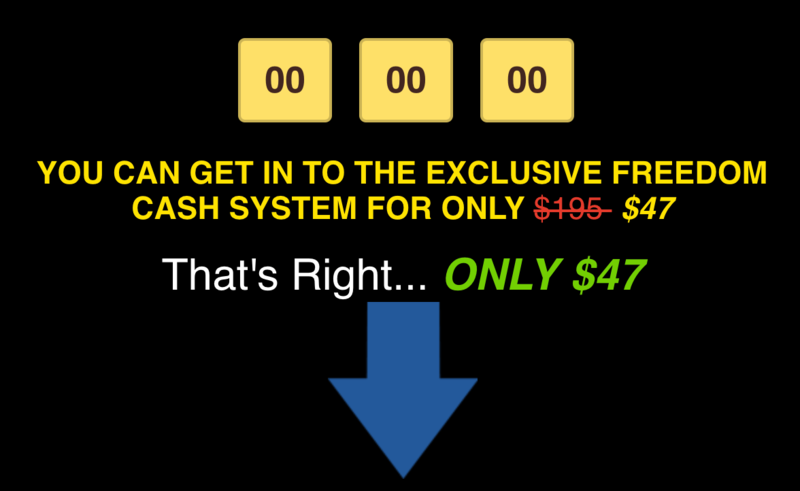 Once I’ve landed on the main page of Freedom Cash System I already knew that this program didn’t look as a valuable source of info. The first issue is their misleading ad that says: We will pay you $500 just for signing up. Of course, it’s not the first program that makes such bold claims. I’ve seen them in the past too. For example, other programs claimed to pay $100 for watching a video without even signing up. Of course, this is a BS. They never pay anyone. If they paid everyone for just watching a video they have never been able to become profitable. It’s so laughable and unrealistic that even a child can understand it. But some people still fall for such scams because of being too naive and honest. That’s why you should be extremely careful and do your research before joining a program. I’ve done the research and it looks like this “awesome” program is being promoted in two different ways. One is about link posting opportunity and the other way is about promoting MOBE. In the next section of my review I’m going to explain what both these programs are about and if you can really make money with either of these two programs. Link posting idea is not new. 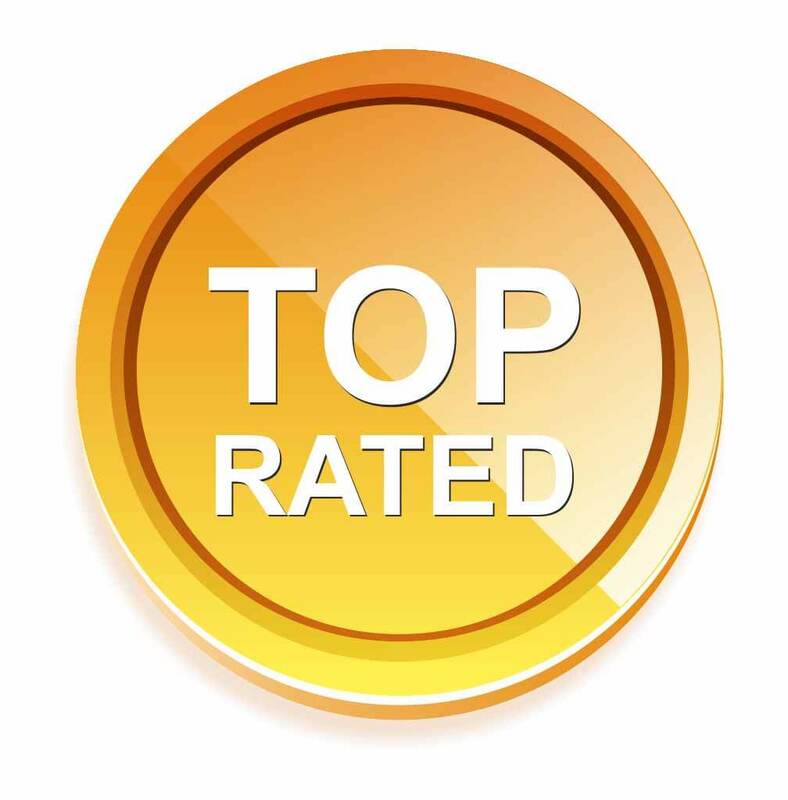 It has been popular for some time already and I already reviewed close to 20 link posting programs most of which are scams and others are low quality programs. Generally speaking, link posting idea promoted by Freedom Cash System means you will be given links and your job will be posting them for Freedom Cash System and the company will reward you for your efforts. 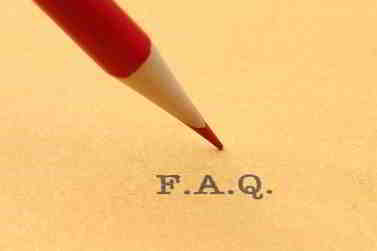 Posting or pasting links means putting them on different websites, Youtube, Facebook, forums. If you own a website I believe you’ve seen many spam comments on your site and deleted all of them. Because no one wants to get useless spam comments from people who do it for the sake of leaving a link. I’ve noticed a new tendency recently. For example yesterday I received an email from such a company that offered me to contact thousands of companies through their contact page for $20. Of course, I will never pay such a company even a penny. Because it’s spamming and will never make me any money. Link posting sites offer a great compensation plan, between $5-$30 per link. This means for each link you post somewhere on the internet you will get paid up to $30 per link. For example, if you can post 100 links per day which is very easy to do you will earn $300 per day, i.e. $9,000 per month. This is how link posting sites advertise this link posting opportunity. It’s absolutely misleading and unfortunately many people fall for these scams. I would also like to draw your attention to the following screenshot below taken from Freedom Cash System website. In fact, Freedom Cash System has never been featured in any media. It’s just one out of many other low quality programs out there that I’ve seen in online space. There are really TOO many of them and believe me they are not worth either your attention or your time. If you don’t believe me you can do some search on Google and you will see that Freedom Cash System has never been mentioned on any reputable website. If you do some research on Facebook, number 1 place for all businesses you won’t find any activity on Freedom Cash System so called “business” page. Of course, having a business page on Facebook is not obligatory but since Freedom Cash System advertises itself as a super popular program that has been featured in many media they must have a Facebook page. I have several posts regarding link posting programs and I do suggest that you read some my articles so you can understand better how the whole link posting thing works. Among link posting programs I can mention 37 clicks, Extreme Home Profits, Cash from Home, Home Internet Cash etc. You can find a full list of link posting programs in this article. Most of the time they have the same website layout and same bold claims regarding making $379 per day. But this time Freedom Cash System has slightly changed their approach using some new strategies. But the outcome is almost always the same. Also, you must keep in mind that reliable, reputable companies never hire anyone to post links for them. Because it’s called spamming and reputable companies will never want to do something that will destroy their reputation and business. And why would they hire someone and pay so much money if they don’t earn anything from it? Just imagine how much money they suppose to spend if they pay $30 per link. How do they suppose to earn money then? Everyone knows that spamming links doesn’t lead to quality traffic, i.e. visitors ready to buy your product. Because all this type of links will be immediately deleted after pasting them. That’s why spending money for link posting is a complete waste of time and money. There is no a single word about money back guarantee. There is nothing of this kind on their website. How are going to trust them then? Will you pay them? I personally will NOT pay even $1 to this company. Update: Upon checking I found that they had a money back guarantee on their sign up page. They ask you to give them a call within the first 60 days of your purchase and they will gladly refund. Honestly speaking, I don’t believe they will refund. But who knows? Maybe I’m wrong. If you want to pay do it at your own risk. BTW, remember I told you that Freedom Cash System resembles other link posting scams? That’s true. They now have another income calculator but it’s still the same misleading trick. The design of the calculator has changed but the strategy didn’t. 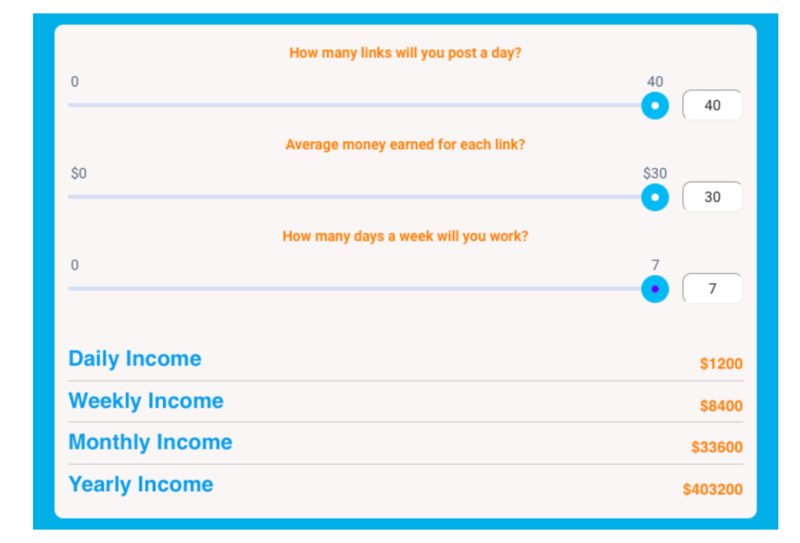 Look, they want you to believe that you can make as much money as you want by simply choosing the number of links you can or want to post and that’s it. This is a complete BS. Because it’s not about link posting. It’s about being able to monetize those links. Just by posting links you will NOT make money. It doesn’t work that way. Another interesting fact I want to draw your attention to is that their price is $97 while they promise to pay you $500 just for signing up. What does it mean? It means they are ready to lose their money. It really annoys me. How can it be possible to make money for them if they pay you way more than they charge you? There is only one simple explanation of this in my opinion. They are NOT going to pay a single dollar. I did a deep research of this program and I found out that before they used some logos to prove that their company was reliable. Normally when you have such logos on your website they must have links leading to those official sites. But in reality they don’t have links. Those images were copied from other places and don’t prove anything. BTW, you can get this program for $47 after their discount. See the screenshot below. 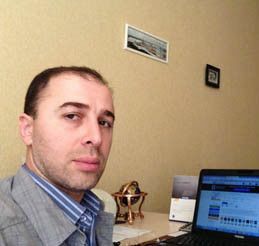 They can also try to promote you other program called MOBE ( My Online Business Empire) whose reputation is not so good in online space. Some people are happy with MOBE while other consider it a complete scam. I don’t think it’s a scam BUT I don’t recommend this program either. Because MOBE will try to promote you highly expensive products some of which will cost you several thousand dollars and there is no guarantee that you can sell them. Most people can’t and waste their money with MOBE. You can read my MOBE review here for more details. 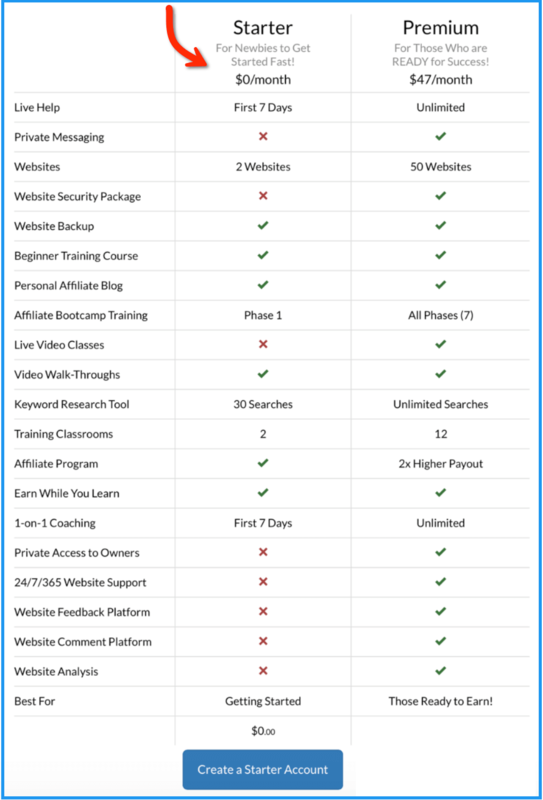 There are also many other programs out there promoting MOBE, such as 21 Step Millionaire Coach, 24 Minute Paydays, 7 Figure Freedom Formula and many other programs. They show you a short promotional video about working from home just to give you an incentive and encourage you. That’s good. But there is not a single word about Freedom Cash System in the video. This is of course totally misleading and dishonest in my opinion. And again like all other link posting scams they show you misleading ads like the one below that says about limited number of positions left in your area. I’m really full of this type of ads. And of course, they didn’t forget to mention again about your $500 gift. Total BS. 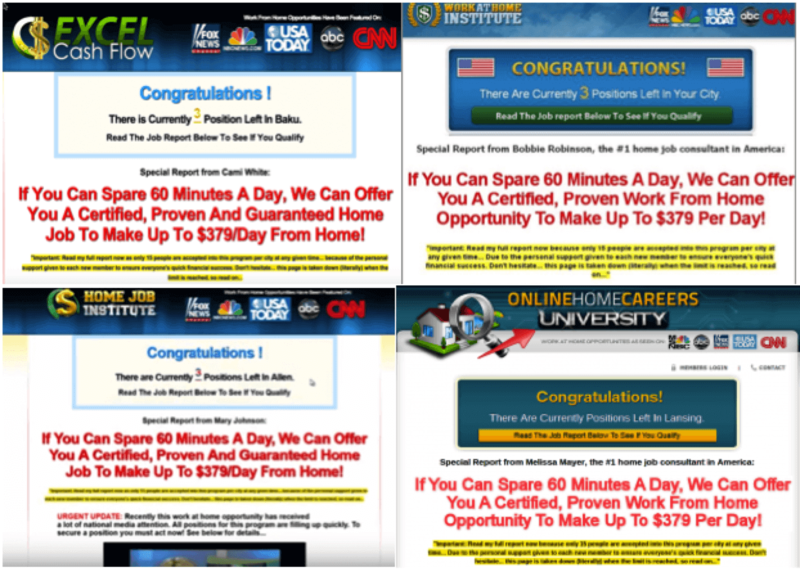 And again they talk about 60 minutes a day and making $379 per day from home. Please do me a favor and take a look at the screenshot above from other link scams and see for yourself how they resemble each other. And again they talk about the chilling day that changed someone’s life. See the screenshot from Freedom Cash System site and from other link posting scam. And the next ad is about being in high demand and posting links on the internet. See two screenshots, one from Freedom Cash System and the other one from another link posting scam. These people are so dishonest that I even can’t find words to express my feelings. They say about companies ready to pay you for posting links. This is insane. The truth is that companies won’t pay you a single cent for posting links. They will pay you ONLY if you can get visitors to your links, get them to click on those links and make a purchase from your link. Only then they will pay you a commission. You see the difference? They are also talking about you becoming a search engine agent. Can you imagine that? How they are lying to you. There is no such a profession as search engine agent. This is not true. And of course, they are talking about raising fee for up to $500 soon or adding a monthly payment in addition to the main payment. Believe me, they are not going to do any of that. They are just trying to sell you their product and use such tricks. BTW, Karen Evans is not only a creator of Freedom Cash System but also a creator of Total Income Answer. You can read my review here. And I forgot to mention that there are many complaints about link posting sites aka scams. Can you become successful with Freedom Cash System? I’m not a huge fan of programs like MOBE because investing several thousand dollars right from the start is not a reasonable approach. For example, a friend of mine was a member of another similar program called SFM and he ended up losing about $7,000. 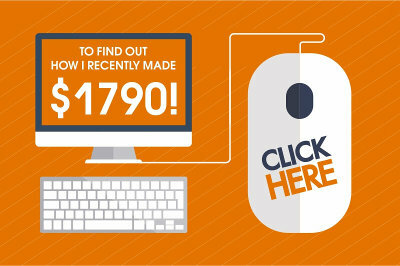 I strongly believe programs like this are deigned to make more money off you instead of helping you make money online. Theoretically speaking yes, you can make money by promoting MOBE or by becoming a member to Freedom Cash System. But in reality I think their chances to become successful with either of these programs are very slim. I think there are too many suspicious things in this program and I think staying away from it is the best what you can do. I don’t want to say it’s a complete scam. I think it’s not. But taking into account all their misleading strategies and suspicious acts I believe you will be in a much better position if you choose to not purchase their “amazing” program. It resembles other link posting scams and low quality programs and that’s why I can’t and I do NOT want to recommend it. Believe me, there are much better programs out there that I can dare to recommend with full confidence. Those programs have a good reputation and provide great support and finally they have been in the industry for over 10 years. Let me know what you think and I will be happy to help you out. Or leave your comments below and we can discuss it further. The old saying goes something like this: “If it sounds too good to be true, then it probably is”. There are many of us who are new to internet marketing or are searching for online income opportunities. These types of plans are meant for people that may not have the knowledge or experience to know right from wrong or how to identify a scam. I appreciate you outlining the program and helping me to be able to identify this type of misleading recruiting. Thanks and have a great day. This is the worst part of internet marketing Mike. A lot of folks get scammed each and every day and we can’t stop the process. But we can folks the wrong ones and save at least some people. Unfortunately, low quality programs are way more in number than good ones. I hope my reviews will save at least some people from such terrible program as Freedom Cash System. Should they lowered the amount promised, it would have sounded more legit. But then, strategies like this no longer work today. Of if it attracts people, the only ones that will be attracted are the gullible and freebie seekers. Wrong crowd for a long lasting online business. Oh by the way, you said they are recruiting fore MOBE? If MOBE is claiming their training is good and they are training people to become better online business owners, then why are they surrounded by marketers like this? I just wonder why. You’re right when you say this type of strategies don’t work today. But I have to admit that they still work very well to some extent because many people still get scammed. And I agree that the only crowd that get scammed are those who look for get rich quick schemes. They don’t want to put an effort into building a real business. When it comes to MOBE, you are right. MOBE advertises itself as one of the best MMO products while in reality it’s not. You put a very good question here. If they were really successful they would never agree to advertise their brand through companies like Freedom Cash System and the like. Absolutely agree with you on this. 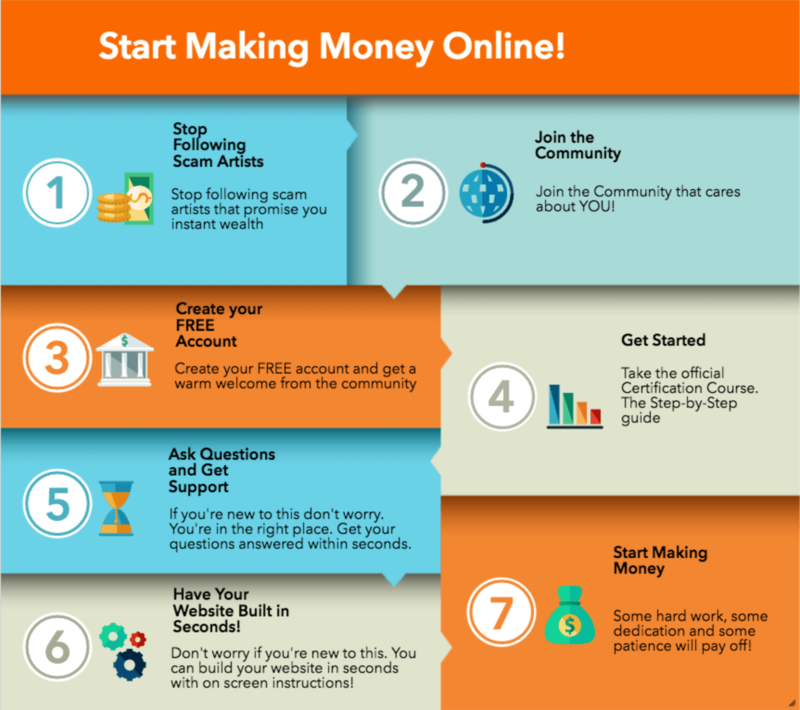 « Is Financial Freedom Formula a Scam? Can it Really Give you a Financial Freedom?